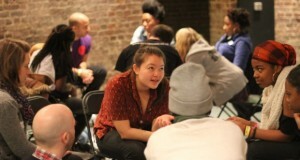 On Thursday 10th April we are bringing young people and adults together from across the music sector to dig deeper into the opportunities strand of the Wired4Music Manifesto. As singer-songwriter and Wired4Music member Kaisle explains,“London is unique in the musical opportunities that it provides.” No matter where your interests and skills lie, London provides a unique range of musical opportunities for young people. There is much to celebrate about the musical offer in London, there are also many challenges. Our next council meeting will explore these issues in depth, looking for actions we can all take together. Join us and help take the manifesto to the next level!